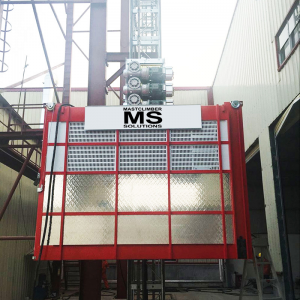 The MS-V Series is an extensively upgraded version of our standard hoist, offering many benefits. 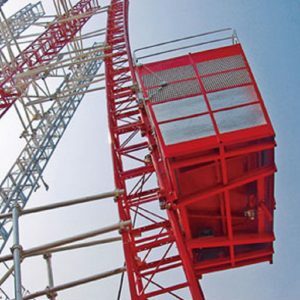 Beyond offering faster and higher capacity options than our standard hoists, the soft start and stop capacity of these hoists offers a smoother ride and a greatly extended service life. 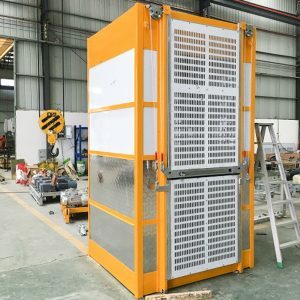 Responding to the increasing demands of our customers we have introduced a range of super heavy duty hoists with load capacities up to 20’000kg. These come in 2 and 4 mast configurations and feature our inverter driven variable speed drive system as standard. 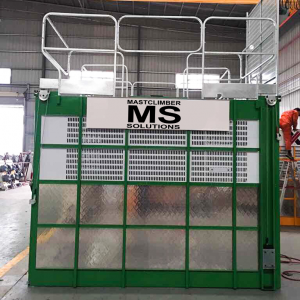 A reliable and extensively field tested design combined with a comprehensive safety system can make the MS-S a great choice. 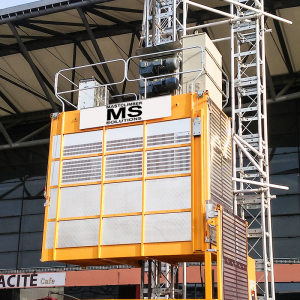 A compact hoist for transporting personnel and materials where space is limited. Available with both standard and variable speed drives. 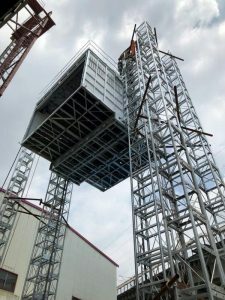 A special application hoist designed for transporting materials up curved structures such as cooling towers. The mast sections utilise a customised connection to form the curved mast. A self balancing system on the base of the cage keeps the hoist level during operation. A special application hoist designed for transporting materials along inclined elevations.